Zagreb is a vibrant city of around 800,000 people (metropolitan area: 1,200,000). The city boasts a charming medieval ‘old city’ with architecture and cobbled streets reminiscent of Vienna, Budapest, Prague and other Central-European capitals. In 2011 it was visited by over 700000 tourists, mainly from Austria, Germany and Italy. Zagreb International Airport  (IATA: ZAG) (ICAO: LDZA), is located 17 km south-east from the city center in the district of Pleso. Croatia Airlines, , the national carrier and member of Star Alliance, flies to Amsterdam, Athens, Barcelona, Brussels, Copenhagen, Düsseldorf, Frankfurt, Gothenburg, Istanbul, London, Madrid, Moscow, Munich, Paris, Podgorica, Pristina, Tel Aviv, Rome, Sarajevo, Skopje, Vienna, Zurich. Domestically, Croatia Airlines operates numerous flights to Split, Dubrovnik, Zadar, Osijek (seasonal) and Pula. Lufthansa  flies several times a day to Munich and Frankfurt, and low-cost carrier German Wings  flies to and from Cologne, Stuttgart, Hamburg and Berlin (Schönefeld). Austrian  operates many flights to Vienna each day. CSA Czech Airlines  flies from Prague to Zagreb all year round. TAP Portugal  flies from Zagreb to Lisbon three times a week (Wednesdays, Fridays, Sundays) via Bologna in Italy. Wizz Air  flies between Zagreb and London (Luton Airport). Iberia  operates flights to Madrid from Summer 2009. BH Airlines  connects Sarajevo and Mostar with Zagreb. Air France  operates flights to Paris-Charles de Gaulle. EasyJet , has direct flights from Dortmund, London Gatwick . Neighboring airports in Rijeka, Ljubljana, Graz, Klagenfurt and Trieste are serviced by low-cost carriers and are often a viable alternative to travelling directly to Zagreb. EasyJet  flies to Rijeka, Ljubljana and Ryan Air  flies to Pula,Graz and Klagenfurt. There is a bus link between the main airport (Zračna luka) and the main bus station (Autobusni kolodvor) in Zagreb. A single (one-way) ticket costs 30 kuna (~ 4,2 Euro) and from the main bus station in downtown Zagreb, you can then connect to the city trams. The ride from the airport to the main bus station takes around 25 minutes via bus. The bus leaves the airport at 7AM and every thirty minutes between 8AM and 8PM. Between the last regular bus at 8PM and the first one at 7AM the next morning, there is a bus leaving for the bus station every time a Croatia Airlines plane lands. The bus line between the bus station and the airport is slightly more complicated. Full details are available in English from . The buses are located at the edge (facing city center) of the bus station. You’ll see “croatia airlines” and “eurolines” written on that part of the building. Zagreb airport transfer  has tariffs, service details and you can make bookings. Zagreb Central Station (Glavni kolodvor) is a railway hub which has direct services to major European cities such as Vienna (6 hours), Budapest, Zurich, Munich, Salzburg, Ljubljana, Sarajevo (one-way ticket costs 59BAM), Belgrade (return ticket 44 EUR, only one train a day) as well as domestic services to all major towns (except Dubrovnik). There is also an all-year-round overnight train (with sleeping compartments) between Zagreb and Split, costing 197 kuna and taking nine hours. Most services are operated by the Croatian Railways , whose schedules are also available on the internet in English. When coming in from Budapest via MAV rail (30€), you will need to change trains after the Croatian border. There will be free, but crowded, buses to ferry passengers and their luggage to another railway station, and the journey takes approximately 45mins. The ticket time of 6 hr 14min is thus misleading. The actual time is closer to 7.5 hours including passport control on-board the train. Travellers from Budapest can pass by Székesfehérvár and then use the Croatian A4 motorway. It also connects Varaždin. Travellers coming from the west – Italy, as well as Rijeka or Istria – can use the A7 motorway (near and bypassing Rijeka), A6 motorway (Rijeka-Bosiljevo) and then the A1 (Bosiljevo-Zagreb). Travellers heading from the south – Dalmatian coast (Zadar, Split, Dubrovnik, …) or from Montenegro – can use the A1 highway, often combined with the state roads D8 (by the coastline) and D1 (through the hinterland). To use highways in Croatia you must pay a toll either in Croatian national currency, the Kuna, or in Euro. One may also pay by cr card- American Express, Diners, Master Card, Maestro or Visa cards. A third option is to use the HAC Smart Card, which can reduce the cost of travelling on the Croatian highways by 10-25%. It is issued by Hrvatske Autoceste , but pays off only if travelling more than 500 km (that’s a return trip Zagreb-Zadar or Zagreb-Serbia) or 250 km for a seasonal Smart Card (a return trip Zagreb-Rijeka or two return trips to Zagreb from Austrian border). You can find a toll calculator here (click Calculator on the left navigation bar). The central bus station (Autobusni Kolodvor) is located to the south-east of the railway station – approximately 10 minutes walk, or 3 stops by tram (lines 2 and 6). Timetable information and prices can be found on the AKZ website . EuroBusWays  operates bus between Zagreb and Budapest, buses go door to door, on demand. Numerous Croatian and International coach operators maintain scheduled lines covering all major domestic and European cities, as far as London, Paris, Rotterdam and Amsterdam, numerous cities in Germany, Belgium, Switzerland, Italy, Slovakia, Czech Republic, Slovenia, Hungary, many destinations in Bosnia and Herzegovina, Serbia, Montenegro, and Macedonia. Zagreb has a well-developed and efficient public transport system that consists of trams, buses and trains. The tram network (route map ) operates 24 hours a day – from 4AM to 12AM there are 15 “day-time lines” (tram lines 1-9, 11-15 and 17), and from 12AM to 4AM there are 4 “night” lines (tram lines 31-34) which cover most of the day-time lines on a reduced (around 30-40 minute) frequency. Occasionally, buses replace trams on night lines. Tram line 3 does not operate Saturdays, Sundays and on public holidays. There are maps of the tram lines on almost every stop, so if you know the nearest stop to your destination you can simply figure out the shortest trip while you’re at the stop. A historic funicular railway (uspinjača in Croatian), one of the steepest in the world, operates between the lower and upper towns. Monthly, daily as well as single tram/bus ticket can be used, otherwise there is a small fee for a ride. The price of a single one-zone ticket valid for 1.5 hours is 12 Kunas(October 2012)(~ 1.6€) when bought from a newspaper stand or ZET ticket office or 15 kn (~ 2€) when bought from the tram or bus driver. It can only be paid in local currency Kuna. There is also a 24 hours ticket (dnevna karta) available at 40 Kuna (~ 5.5 €). Buy a ticket and punch it (insert it) in the little orange machine once you enter to validate. All single tickets are transfer tickets valid in multiple vehicles traveling in a single direction, so you won’t need a new ticket when switching trams and/or buses. 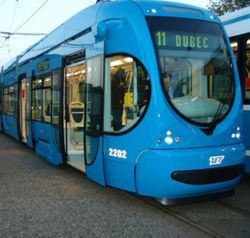 Tariff zone system exists, but only for townships and communities outside of Zagreb city limits, all trams are in zone 1, as well as buses in the City of Zagreb. If you plan on taking more than two rides, buy a daily ticket. Riding without a validated ticket is not advisable, due to a recent increase in the number of active ticket controlors. Trains operated by Croatian Railways  (Hrvatske Željeznice) run every 15 minutes from east to west, connecting the suburbs of Zagreb with the central railway station. They are usually the quickest form of transport for those coming from the areas of Zagreb far from the railway station (Glavni kolodvor), or beyond the tram network. Radio Taxi Zagreb (blue sign on roof)  phone: 1777. Starting rates as of January 2012 are fixed at 9.90 kn (~€1.30), the price per kilometre is 4.90 kn/km (~€0.65). Taxi Cammeo  phone: 1212. Starting rate is 15 kn (~€2) and includes 2 free kilometres. The price for every next kilometre is 6 kn (~€0.8). Due to regulations, they are not able to pick up customers at the Pleso Airport. Ekotaxi  phone: 060 77 77. Start price is 8.80 kn (~€1.15), 5 kn (~€0.65) per kilometre. The price of waiting per hour costs 40 kn (~€5.35) for all of the three mentioned taxi companies. Taxis are readily available at the Pleso (VG TAXI) International airport and their prices are ~50% higher. Taxis are obliged to have their taxi-meter on and you won’t fare well if you try to bargain. Avoid taxies that wait in front of the Main train station (Glavni kolodvor) or next to the main bus station (Autobusni kolodvor) that don’t belong to any of the identified three companies (Cammeo, Radio Taxi Zagreb, Ekotaxi). As in most big European cities, unregistered taxi drivers now operate on several tourist locations or during weekends. You’ll pay double or triple the price and even notifying the driver to turn on the taxi-meter won’t result in a much lower bill. Travelers who are staying for several days should consider buying the Zagreb Card . The card offers unlimited travel on public transport in Zagreb, discounts at virtually all of the city’s museums, reduced prices at many restaurants, shops, and service providers and many other concessions. It costs 90 kuna (approx. 12 euros) and is valid for 72 hours from the date and time entered on the card. Holders of the card also receive a special booklet with a list of all of the establishments and the discounts available to them. 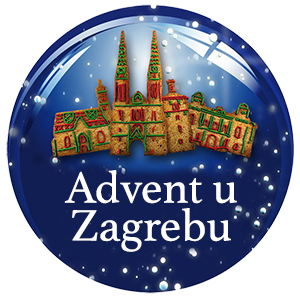 The card can be purchased at any of Zagreb’s Tourist Information Centers and at the reception desks of the majority of Zagreb’s hotels. Gornji grad, (Upper Town) and Donji grad (Lower Town) are the cultural, religious, and commercial hubs of Zagreb. These are where most of the restaurants, bars and tourist sights are located. The Upper Town, which is the medieval core of the city, developed as two separate (and often warring) towns – Kaptol, the seat of the Bishop (where the imposing Cathedral now stands), and Gradec, the free town where tradesmen and artisans lived (proclaimed by King Bela of Hungary in the 12th century) merged in the 1770s to form the northern section of historic Zagreb. Following this, the city expanded south of today’s Trg Bana Josipa Jelacica (Jelacic Square) to the railway station and the Sava River. Old Town Gate, at the top of Radićeva street (Upper Town). now a shrine to virgin Mary – the “Kamenita vrata” where you can light a candle or place a vow and, as the locals believe, your wish will be granted. Please be silent and respectful, even if just passing through the Gate. The portrait of Mary is said to be sacred, because it is the only thing that survived the great fire in Zagreb in 1731. Near the Old Town Gate is the sculpture of St. George having slain the dragon. The other statue, him fighting the dragon, is located on the Marshal Tito’s Square near the Croatian National Theatre. Strossmayer šetalište. (eng. Strossmayer’s walkway) In the summer, it is an outdoor scene for painters, musicians and other artists offering food, drinks, performances and concerts. Popular meeting place for all ages, with a great view of the Lower Town. Maksimir Park & Zagreb Zoo, (tram #7 if you are coming from the Central Bus Station or trams #11 and #12 from the main square or the #4 of your coming from the railway station). The biggest park in Zagreb. Great place to chill out, drink coffee, eat lunch (picnic or at the park’s restaurant) or take nice long walks through the forest or by the small lakes. Good for joggers, cyclists, also child and dog friendly. Offers lake rowing. The 85-year old ZOO now also has red pandas and a variety of animals living in questionable conditions. Other city parks are connected in the “Lenuci Horseshoe”, an unfinished project of combining small green squares and parks at the core of the center of the town. Zrinjevac Park, (just south – east of the main square). the park of the Academy (connecting the Zrinjevac and Tomislav parks). King Tomislav square, (south of Zrinjevac, just outside the main Train Station). Botanical Gardens, (south of the K. Tomislav Square, near the Hotel Esplanade). Square of Maršal Tito, (the green square sorrounding the National Theatre). Jarun, (at the south part of the city. Tram #5 or #17), . Jarun Lake is a recreational area based around a large lake where locals go to relax, exercise – and party! The centerpiece of the area is the actual lake itself, which is used for windsurfing and has a large rowing section with spectator stands. There are also shingle beaches surrounding the water, alongside which are several bars that get very busy during the weekends but are also nice for a sunny lunchtime snack. All the bars there are considered ‘fancy’ places and usually play commercial music. Bundek. Hosts horticultural shows, firework festivals, workshops, concerts and music festivals (mostly during the summer). A great place for hanging out in nature, playing sports or having a barbecue. Most museums and historical sights close at 1PM on Sundays and do not reopen until Tuesday. Muzej Mimara (Mimara Museum), Trg Franklina Delanoa Roosevelta 5, (mimara@mimara.hr). Tue-Wed,Fri-Sat 10am-5pm; Thu 10am-7pm; Sun 10am-2pm. Houses some 3,700 works of art donated by Ante Topić Mimara. The collection comprises more than 1,500 exhibits dating from the prehistoric period up to the 20th century. Some of the most famous exhibits include works by Lorenzetti, Raffaello, Giorgione, Veronese, Caravaggio, Canaletto, 60 paintings by the Dutch masters Rembrandt, Van Goyen, Ruisdael, 50 works by the Flemish masters Van der Weyden, Bosch, Rubens, Van Dyck, more than 30 by the Spanish masters Velasquez, Murillo, Goya, some 20 paintings by the German masters Holbein, Liebermann, Leibl, some 30 paintings by the English painters Gainsborough, Turner, Bonington and more than 120 paintings by the French masters Georges de la Tour, Boucher, Chardin, Delacroix, Corot, Manet, Renoir, Degas. Arheološki Muzej (Archaeological Museum), Trg Nikole Šubića Zrinskog 19, . Possesses over 400,000 objects, not all of them being exhibited. The holdings include evidence of Croatian presence in this area as well as rare samples which have made the museum known to the whole world. The most famous are the Egyptian collection, the Zagreb mummy and bandages with the oldest Etruscan inscription in the world (Liber Linteus Zagrabiensis), as well as the numismatic collection. A part of the museum is set aside for the collection of stone monuments dating back predominantly to the Roman period. Muzej Suvremene Umjetnosti (Museum of Contemporary Art), Avenija Dubrovnik 17, . Follows and presents contemporary trends in fine arts. 30 kuna. Klovićevi Dvori, Jezuitski trg 4, . introduces Croatian and foreign cultural and artistic heritage. Umjetnički Paviljon (Art Pavilion), Trg Kralja Tomislava 22, . Designed by by famous Viennese designers of theatres in Central Europe Hellmer and Fellmer. A neo-classical exhibition complex and one of the landmarks of the city center. The exhibitions are also held in the impressive Meštrović pavillion on Trg žrtava fašizma. Hrvatski Muzej Naivne Umjetnosti (Croatian Museum of Naive Art), Sv. Ćirila i Metoda 3, . Houses more than one thousand works belonging to Croatian naive art. Moderna Galerija (Modern Gallery), Hebrangova 1, . Comprises all relevant fine artists of the 19th and 20th centuries. Museum of Broken Relationships (Muzej prekinutih veza), Sv. Ćirila i Metoda 2, ? +38514851021 (info@brokenships.com), . every day from 9 a.m. to 9 p.m. (from October till May), during summer time from 9 a.m. to 10:30 p.m. (from June till September). What remains after a break-up? Museum’s permanent display is an opportunity to experience a unique emotional journey through dozens of love leftovers collected from all around the world. Museum is also the winner of Kenneth Hudson Award 2011 for the most innovative museum in Europe. Admission fee: 25kn. People and Art House Lauba (Kuća za ljude i umjetnost Lauba), Prilaz baruna Filipovića 23a, . Every day from 3 p.m. to 11 p.m.. Presents works from the Filip Trade Collection, a large private collection of modern and contemporary Croatian art and current artistic production. 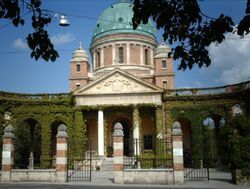 Mirogoj is the central cemetery of Zagreb. It was opened in 1876 north of the city center. The mortuary, the impressive and picturesque arcades with the church of Christ the King (architect H. Bollé, 1883-1914) make it one of the most impressive cemeteries in the world. Here stand the tombs of notable personalities (including that of basketball hero Drazen Petrovic) who are relevant to Croatian history. To arrive from the central square, go to the near-by Cathedral and take bus number 106 (Kaptol – Mirogoj – Krematorij). The ride takes approximately 10 minutes. Note: the Croatian Day of the Dead is on November 1st. You may find the sight of hundreds of thousands of candles after nightfall impressive and worth seeing, but you may take note that on that day and a few preceding and following days the cemetery will be very busy and quite different from usual peaceful appearance; on those days buses to the cemetery are very frequent but crowded. The imposing mountain overlooking Zagreb (Medvednica) contains a preserved fortress (Medvedgrad) and fascinating views of the city. Being respectful in the fort is a good idea, since it is the site of the Altar of the Homeland memorial, dedicated to Croatian soldiers who died in the Homeland war. There are several historical festivals during the year, including knights tournaments. The gree jewel of a mountain Medvednica is over 1000m high covers a large area with many excellent hiking and biking routes. Since Zagreb is at roughly 120 m, it is quite a climb. There are many small restaurants, mountain grills and cafes at the top of the mountain, open until early evening. In the early and late summer it can be crowded in places, especially on weekends. It is possible to take the bus up to the top of Sljeme from Mihaljevac (last tram station of the line #14). This bus replaces the gondola, although there are allegations that this will eventually be rebuilt. The bus takes a circular route and comes back to the same place. It take about 30 minutes up, less coming down. Many other buses serve small villages at the foot of the mountain where the mountain paths start/stop. Altrernatively, you can walk from Mihaljevac or Šestine (take the bus from Britanski trg) to the top of Sljeme. It should take you between 1,5h (fast walking) and 2,5h. Snow Queen Trophy: Ladies Night Slalom : Zagreb is the only capital in the world that hosts a Ski World Cup race. The slalom event – known as the “Snow Queen Trophy” (Snjezna kraljica) – usually takes place in January. It is the most expensive race on the women’s world cup tour and an exceptionally popular sporting event in Croatia that attracts a crowd of around 25 thousand people. As of 2007 best skiers in men’s competition are also expected to compete on Mount Sljeme that overlooks the city. If you fail to secure your ticket, you can watch the whole event on a giant screen in the Ban Jelacic Square. Blue Bike ZagrebByBike, Trg bana Josipa Jelacica 15, main square (in the alley), ? +385 98 1883344, . Blue Bike Zagreb city tours by bicycles guided by locals. Providing sightseeing in small groups, visiting more and distant places Blue Bike perfectly match all modern tourists’ needs. Direct and mutual conversation in friendly and informal atmosphere; 2,5 hours; all year round. Most English-language movies are subtitled, not dubbed; only children’s movies are dubbed. A ticket will cost you 20-33 HRK (2,7-4,4€). About 30 HRK is the combined price of a medium popcorn and cola. CineStar Zagreb, Branimirova 29; ticket reservation +385 1 46-86-600, . A multiplex cinema (13 screens) in the vicinity of the Sheraton Hotel. The website is in Croatian, but can be understood using a Croatian-English online dictionary. CineStar Novi Zagreb, Avenue Mall, Avenija Dubrovnik 16. . A multiplex cinema (9 screens) in the vicinity of the Museum of Contemporary Art. Movieplex, Nova Ves 11; +385 1 48 60 777, . A multiplex cinema (5 screens) within the Kaptol Shopping Center situated to the north of the Cathedral. Kino Europa, Varšavska 3. Located in the city center, usually showing films from film festivals at a price of 20 HRK. Entrance through a popular caffe often crowded on weekends. 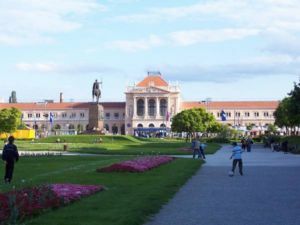 The University of Zagreb combined with the Croatian Heritage Foundation Matica Hrvatska offers comprehensive Croatian language courses for foreigners. The courses occur in the fall and spring semesters along with an intensive one month course in July. All courses cost around 600 Euro. More information can be found by visiting the University’s website. FER (Fakultet elektrotehnike i računarstva – Faculty of Electrical Engineering and Computing of the University in Zagreb) is a globally-appreciated school of computing science and electronics, accepting around ten international students a year. There are also private language schools in Zagreb that offer language courses for small groups or individuals. For creative types, Croatia is occupied by some street performers and many stands selling jewelery or other hand-crafted products, so the populace has an open mind to casually buying things from an interesting stand near the main square or dropping a few coins into a musician’s case. There are many small grocery stores around Croatia such as Konzum and Diona. There you can buy most necessary foods, hygiene products and items like cigarettes and alcohol. If you have a more specific need (like appliances, cutlery) or wish to go bulk shopping then try one of the larger Konzums, Kaufland or Mercator. Bread in Croatia is sold in numerous bakeries unsliced and is, due to a lack of additives such as chemical conservanses, generally inedible after the second day of life, so if you don’t eat bread much then ask for half a loaf “pola”. Most brands that you likely know from home, like Nutella or M&M’s, can be found in the larger stores but are rather expensive. Trying a domestic alternative or knock-off is not a bad idea. Zagreb also has designated areas, the singular being a “plac”, where you can buy and barter for clothes and shoes as well as perfume, chocolate and souvenirs. Illegally imported cigarettes are also often sold for cheap there (because of high importation taxes). Hrelić. A flea market at the outskirts of Zagreb taking place every Sunday from very early until around noon. You can find all sorts of new, used or stolen goods including very cheap clothes, electronics, books, accessories, all sorts of technical machines, woodwork, food and used cars. There are many take out, pizza-cut, sandwich bars and fast foods arround the city. Most are located in the city center (main square – Ban Jelačić and surrounding blocks). There are also food chains such as the “McDonald’s”, “Daily Fresh”, “Mlinar”, “Pan Pek”, and the preferred “Dubravica”. Sandwich prices around the city varies from 10 to 20 kuna. You can also find many kebabs and pancake-to-go places. There are many good coffee shops, which do not serve food. Zagrebites seem to like to sit and linger over coffee, but eat on the go. American Doughnut, Teslina street. A sandwich bar that also serves salads and deserts. Baschiera 2, Selska cesta 215 (On the end of Savska street and beginning of Horvaćanski zavoj), ? +385 1 3698-999. Pizza. Colonia, Božidara Magovca 21 (In New Zagreb, in Mamutica), ? +385 1 6698-153. Pizza. Dvojka, Nova Ves 2 (On Kaptol close to Centar Kaptol), ? +385 1 4817-462, +385 1 4666-111. Pizza. Gigi, Petrovaradinska 39, ? +385 1 3885-092. Be sure to visit this pizzeria if you’re going to the Jarun lake. Karijola, Kranjčevićeva 7, ? + 385 1 3667-044. Pizza. Mamma Mia, Ilica 63, ? +385 1 4846-093. Pizza. Manzoku, Gajeva street, . An excellent and so far only Japanese take-out in Zagreb. Unpleasant staff will provide you with a tasty but rather expensive meal. MOCA. Newly open at the main square serves great and cheap fried, deep fried and baked potatoes with a large variety of dipps for takeout. 10 kuna. Nocturno, Skalinska 4 (On Kaptol, between Tkalčićeva street and Cathedral), ? +385 1 4813-394. Pizza. Nova, Ilica 72/1, . Vegan. Pizza Cut Duck, Teslina street. A pizza-slice bar that also serves fresh tortillas with veggie and/or meat filling. Pyr, Teslina 13/1, . Vegetarian. Robin Food Catering, Derenčinova 1, . Vegetarian. Sandwich Bar Pingvin, Nikole Tesle 10 (on one of the central streets, close to the Flower Square and Trg Ban Jelcica), ? 01 48 11 446. Classic sandwich bar with a wide menu and reasonably good mix of languages. One of the most popular dishes is the toplo/hladno (hot/cold), a grilled chicken and vegetables sandwich. Šestica, Medulićeva 6, ? +385 1 4846-248, + 385 1 4846-562. Pizza. Stara Sava, Savska cesta 208 (Close to rotor and Mladost sports center), ? +385 1 3634-322. Arguably the best pizzeria in Zagreb. VegeHop, Vlaška 79, . Vegetarian. Gostionica Restoran Purger, Petrinjska 33 (From the central square walk down Petrinjska for about 300m), ? +385 1 4810713. pon-sub 7:00 – 23:00. Traditional Zagreb food for reasonable prices. Has a nice terrace in the backyard. Ivica i Marica, Tkalčićeva 70, ? +385 1 481 7321 or +385 1 482 8999, . Open every day except Mon 12PM-11PM. Wonderful food made only from natural ingredients, many sourced locally. Mali Medo, Tkalčićeva 36, ? +385 1 4929 613. Another traditional Croatian restaurant. Lively atmosphere, youthful clientele, and all very affordable. Excellent ćevapčići and gulaš, not to mention superb beer. Mains: 20-40 kuna. Mex Cantina, Savska cesta 154, ? +385 1 6192-156, . Mexican food. Good service, great food, on Mondays they offer live music by the best Croatian mariachi band, Los Caballeros starting at 9PM. Pivnica Medvedgrad, Samoborska cesta 217, Božidara Adžije 16, Tkalčićeva 36, . Great food and beer for reasonable prices. Make sure to try ‘čvarkuša’ (4 HRK). 500ml beer: 12 HRK. Restaurant Kvatric, Maksimirska 9, ? +385 1 2330 070, . Croatian restaurant with very nice food for a reasonable price. Has a nice terrance in the back garden. Close to tramstop ‘Kvaternikov Trg’. Vinodol, Teslina 10, ? +385 148 11 443 (vinodol@vinodol-zg.hr), . Resturant with Croatian cusine typical for the region with high quality to a fair price. The have very nice garden. Menu found on their web page. Feniks, Jurisiceva 19 (5 minutes walk from the Zagreb’s main square), ? 01/481 44 11. Mexican food. Le Bistro, Mihanovićeva 1, ? +385 1 45 66 666. Daily 8:30-23:00. A French restaurant within the Regent Esplanade Hotel..
Panino, Nova Ves 11 (Centar Kaptol), ? +385 1 46 69 013, . Nice little restaurant with great service and wonderful food. If you are into French and Istrian style food you will probably love this place. Restaurant Suhina, Dr. F. Tuđmana 1, Orešje (near the Podsused bridge), ? +385 44 1 33 71 562. An old family-run restaurant on the old Samobor road that offers a variety of roasted food. Takenoko, Nova Ves 11, in Kaptol Centar Shopping Center (Centar Kaptol), ? +385 1 48 60 530, . Zagreb may not be synonymous with sushi restaurants, but this is one is superb. It is not cheap, but sushi they make is incredible. Velika Klet Obitelji Bunčić, 20km from central Zagreb, ? +385 1/ 2781-132 | 01/ 2781-133, . 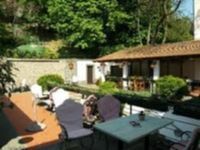 A very popular place that offers Croatian cuisine, live music on weekends, a stable, fish pond and basketball courtyard. 100% juice bar, Tkalčićeva 5 (in the center of Zagreb. Down some stairs – look for the small sign). Pricey but a good place to get a healthy snack or fruit smoothie. Konoba Didov San, Mletačka 11, Upper town, tel: 0038514851154, The best atmosphere restaurant in Zagreb with excelent food, unique menu, large portions and great location!! Taban bar Tkalčićeva 82, ? +385 1 5533 527. Workdays 08-24, weekends 08-05h, 0-24h licence so might work later than stated here. Urban style, live bands, DJ-s, themed programs. Bar mixed with domestic and international audience. Cocktails, rakija, big selection of beer, shisha. Cheap prices, free entry. www.facebook.com/tabanzagreb . Booksa, Martićeva 14d, . A cafe/bookshop/library famous with local young intelectuals. Cica, Tkalčićeva. Bar mostly known for its great and varied choice of the local schnappses (rakija). Interresting always changing, gallery-like interior. The whole bar is small but offers outdoor seating. Very popular and crowdy, brimming with young bussiness and student clientelle. Finest, Tkalčićeva 50, ? +385 99 3864 720. 9 a.m.- 02 a.m.. cozy lounge atmosphere, excellent english, free wifi, delicious drinks, great coffee, american radio hits, live music on weekends FREE ENTRY!. Funk club, Tkalčićeva 52, ? +385 98 672 338. 11 a.m.- 02 a.m.. Cafe / bar that offers various music night programmes in the basement (moslty alternative, dj-s, world music) and spacial backpacker evenings.Very good atmosphere, lots of character, cheap and tasty Rakija shoots and excellent electronic music: funky, electro, jazz, d’n’b, house, dubstep! FREE ENTRY!. KIC, Preradovićeva. Offers free internet and cheap international call center. Hosts a cinema wtih various alternative movies. Kino Grič, Jurišićeva. Newly re-decorated old cinema. Hosts movies, festivals, music nights and Zagreb’s hipster crowd. Krivi Put (Wrong Way), Savska 14. If you know that the wrong way is the only right way in life, stop by for a few drinks in this alternative bar full of happy people drinking cheap beer. Bar Plan B, Tkalčićeva 84, ? 014811285, . A cafe/wine bar/sports bar. Attracts a mix of locals and tourists. You can expect music from every genre, and decade, from Jazz to Alternative/Indie. Purgeraj, Park Ribnjak. A bar/club located in the Ribnjak park in the city center. Offers mostly rock, blues and alternative music. Daily happy hour when you get two drinks for the price of one. Sometimes hosts concerts. Popular with student crowd esp on Thursdays when it hosts the newly popular “take me out” evening offering a mix of indie and alternative music. In the summer, outside Purgeraj, in the Ribnjak park there are live concerts and various workshops offering summer fun under the name ‘Park In Zagreb’. Tolkien’s House, Opatovina. A small fantasy cafe/bar for Tolkien lovers. Offers a variety of beers, cider and hot drinks. Aquarius, Aleja Matije Ljubeka bb (Jarun Lake), . Saturday night is drum’n’bass & dancehall music, Friday is hip-hop/r’n’b night. Good concerts. Boogaloo, Ulica Grada Vukovara 68, ? +385 1 6313 022, . Good electronic music. A bit expensive but worth seeing. Bar, restaurant and disco. BP Club, Nikole Tesle 7, ? (+385-1) 481 44 44,, . Open daily from 10 PM to 2AM. Jazz and blues lovers should check it out. Funk club, Tkalčićeva 52, ? +385 98 672 338. 11 a.m.-02 a.m.. Very good atmosphere, lots of character, cheap and tasty Rakija shoots and excellent electronic music: funky, electro, jazz, d’n’b, house, dubstep! Hopdevil, . A new bar, featuring live music on Tuesdays and Thursdays, plus a DJ on Saturday nights, it has 101 different types of Belgian beer. The unique interior features a waterfall that runs along entire wall, and stone archways. The water from the waterfall flows beneath a glass floor, which you can sit on. Jabuka, Jabukovac 28, ? 01/48 34 397. Cult club for alternative, punk music. Cheap drinks opened on weekends, often concerts of alternative bands. Mostly visited on weekends, especially Fridays. Admission fee: 25 Kn. KSET, Unska 3, . A popular student club. Offers various indie and alternative programmes every night of the week. Indoors smoking prohibited. Serves only beer and non alcoholic drinks. Entrance prices from 10kn (students) to 45/60kn for concerts..
Močvara, Prisavlje, . A local alternative club (rock, punk, metal, indie)with various concerts and theme nights/programmes. Sometimes hosts festivals, young indie talent concerts, movie nights, exibitions etc. SAX! – Klub hrvatskih glazbenika, Palmotićeva 22/2, ? (+385-1) 48 72 836, . A great place to enjoy live music of a wide array of styles including blues, jazz, rock and pop. Sirup, Donje Svetice 40, . Interesting interior and atmosphere. Good electronic music. A bit expensive entrance fees, but worth seeing. The Best, Jarunska 5 (out near the Jarun Lake complex), ? +385 1 3011 943, . Largest club in Zagreb. Mainly dance style music. The Jazz Club, Gunduliceva. Open daily. Jazz, blues, and funk bands, often from other countries. Palmers Lodge Zagreb, Branimirova 25, Zagreb, . Brand new property situated perfectly 300m from the main train station, 700m from the main bus station, and within 5 minutes walking distance to all major tourist attractions. Ask for a room upstairs. Dorm bed: 15 EUR (115 kuna). Buzz Hostel, . Furnished with modern, ikea furniture. Also a location in Split. Dorm bed: 120 kuna. Chillout Hostel Zagreb, Fra Andrije Kačića Miošića 3b, ? +38514849605 (info@chillout-hostel-zagreb.com), . checkin: 2pm; checkout: 11am. A brand new hostel in the city centre, free linen, free towels, free wifi, 0-24h bar and reception Dorm bed: 97-127 kuna. Dizzy Daisy Hostel Zagreb, . Dorm bed: 100-150 kuna. Fulir Hostel Zagreb, . 2 rooms, including a 12-bed dorm. Great place to meet people, but can be a wait to use the bathroom. Funk Lounge, Ivana Rendića 28b (From main train station: Take a tram number 4 (direction Dubec), and get off on the 7th station (Masiceva). Continue along Maksimirska street until you see ‘Dublin Pub’ across the street on your left side, cross the street and we are behind ‘Dublin’ on the right side in 15 story building. Just by Mlinar bakery and hair stylist is our entrance.), ? +385 1 555 2707 (booking@funklounge.hr). checkin: from 1 p.m.; checkout: until 11 a.m.. Funk lounge is a perfect place for you to stay in Zagreb! We are happy to welcome all travelers to discover Zagreb while enjoying the comfort and good atmosphere of our brand new hostel. dorm from: 13 euro, private from: 20 euro. Hobo Bear Hostel, Meduliceva 4, . checkin: 1400; checkout: 1100. A cozy hostel very near the town center. There is a basement hang out lounge with a TV, including cable and many DVDs, as well as free (fast) internet and computers. The staff is amazingly helpful and speak perfect English, the beds are comfortable and come with free linens and blankets, and there is also a well stocked kitchen facility. Dorm bed: 105 kuna. Hostel Carpe Diem, Milana Sufflaya 3, . Dorm bed: 80 kuna. Hostel Lika, Pašmanska 17, . Small and cozy hostel a bit out of the city center. Dorm bed: 100 kuna. Hostel Mali Mrak Zagreb, Dubicka 8, . Dorm bed: 100 kuna. Nokturno Hostel, Skalinska 2a, . Free internet access, free linens and towels. Dorm bed: 130 kuna; Single: 200 kuna. Logistics Youth Centre, Jakuševečka 87, ? 00385 1 6626 035, . Logistic youth center, also works as a regional information center. From the host, you can get complete information about everything that interests you. The space has 10 rooms, lobby with fireplace, dining room, kitchen and a cinema hall, where you can stream movies from your laptop. The most interesting part is the terrace with space for tents and 30 seats. Located further from downtown, but the center has its own bus which runs as needed. Parking for approximately 30 vehicles. Old Town Zagreb Hostel, Dordiceva 24 (Ulica Ignjata Dordica). Dorm bed: 100 kuna. Ravnice Youth Hostel, I. Ravnice 38d, . Zagreb Point Apartments, ? +385 99 5622 485 (zagrebapartmen@gmail.com), . checkin: after 13:00; checkout: before 11:00. Lovely and cosy apartments in the centre of Zagreb. There are one bedroom and two bedroom apartments with private parking spaces. Apartments are from cosy 50m2 to luxurious 120m2 penthouse and can accommodate form 3 to 6 persons. 1-bedroom apartments: €50-65; 2-bedroom apartments: €60-100. Fresh* Sheets Zagreb (Fresh* Sheets Zagreb Apartment), Petrinjska ulica 4, ? +385 91 896 7509 (beds@igotfresh.com), . checkin: 13:00; checkout: 11:00. A spacious, incredibly well located apartment in an heritage building in the heart of Zagreb. Highly recommended. 1-bedroom apartment: €66-88;. Apartment AS Zagreb, Crnčićeva 2 & Račićeva 12, ? +385 98 669 660, . Two affordable and cozy apartments in a very quiet neighbourhood Maksimir near city center. €50-100. Apartments Jadranka and Bella, Av. Marina Držića 15, Zagreb, Croatia (The apartment is located near the Zagreb main bus station), ? +385 91 733 7206 (bozena.katanec@zg.t-com.hr), . checkin: from 12.00(noon); checkout: until 10.00. Whether you are just passing through Zagreb or staying for a long time, you will be comfortably accommodated in our apartments. Additional benefit is the transport service to and from the airport at extra charge. Jadranka: 55€/night, Bella: 48€/night. Hotel Jägerhorn, Ilica 14, ? +385 1 48-33-877, . 3-star hotel Founded in 1827, Hotel Jägerhorn is the city’s oldest standing hotel. Arcotel Allegra, Branimirova 29 (300 meters from the central railway station (Glavni kolodvor)), ? +385 1 46-96-000, . 4-star hotel which is Zagreb’s first “lifestyle” hotel. All rooms are spacious and air-conditioned and feature mini bar, safe, internet connection, bigscreen TV and DVD player. A very cool touch are the free apples supplied in your room in a very funky holder! Four Points by Sheraton Panorama Hotel Zagreb, Trg Kresimira Ćosića 9 (in the business district of Zagreb some 2.5 kilometers away from the central railway station (Glavni kolodvor)), . 4-star hotel. Hotel Aristos, Cebini 33, Buzin (in the vicinity of the Zagreb airport at the southern gates of Zagreb, in the Buzin commercial center), ? +385 1 66-95-900, . 4-star hotel. Hotel As, Zelengaj 2A (2.5 km north-west of the railway station (Glavni kolodvor)), ? +385 1 46-09-111, . 4-star hotel. Hotel Central, Branimirova 3 (150 meters from the railway station (Glavni kolodvor)), ? (+385 1 48-41-122, . 3-star hotel refurbished in 1996. Hotel Dora, Trnjanska cesta 11 (behind the Lisinski Music Hall (south of the main railway station – Glavni kolodvor)), ? +385 1 63-11-900, . 3 star hotel. Hotel Dubrovnik, Gajeva 1 (overlooking Zagreb’s main square – Ban Jelačić Square), ? +385 1 48-63-500, . 4-star hotel. Hotel Holiday, (at the western entrance to Zagreb not far from the Zagreb Fair), ? +385 1 34-96-621, . 3-star hotel. Hotel I, Remetinečka cesta 106 (near the southern entrance into Zagreb, south of the Sava and in the vicinity of Zagreb Fair), ? +385 1 65-42-238, . 3-star hotel. Hotel International, Miramarska 24 (several hundred meters south of the central railway station), ? +385 1 61-08-800, . 3-star hotel. Hotel Jadran, Vlaška 50 (in the city center some 500 meters east of the Cathedral), ? +385 1 45-53-777, . 3-star hotel. There is a big shopping center near-by – the Importanne Gallery. Hotel Laguna, Kranjčevićeva 29 (near the Cibona Business Tower), ? +385 1 30-47-000, . 3-star hotel. Palace Hotel, J.J. Strossmayer Square, ? +385 1 48-14-611, . 4-star hotel. It was built in the Secession style in 1891 and converted into a hotel in 1905. The Arts Pavillion is 50 metres away. Regent Esplanade Zagreb, Mihanovićeva 1 (just across the central railway station), ? +385 1 45-66-666, . Built in 1925 for passengers of the famous Orient Express train, which connected Paris and Istanbul. If you can, check the Emerald Ballroom with its soaring dome shaped roof. The hotel also includes the Zinfandel’s Restaurant, Le Bistro and the Esplanade 1925, the hotel’s lounge and cocktail bar. Sheraton Zagreb Hotel, Kneza Borne 2, ? +385 1 45-53-535, . Features air-conditioned rooms and suites with classic furniture and marbled bathrooms. 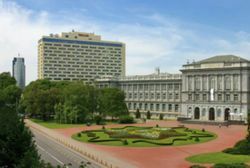 It also includes King Tomislav Restaurant, Fontana Restaurant, Piano Bar, Café Imperial, 17 meeting rooms and an 800-square-meter Grand Ballroom. Westin Zagreb, Kršnjavoga 1 (next to the Mimara Museum and the Croatian National Theatre), ? +385 1 48-92-000, . The hotel was renovated in 2004. It features the legendary Heavenly Bed and Heavenly Shower and probably offers the best view in the city. Art Internet Caffee , Tkalčićeva 18, “Art” is an internet cafe bar, situated in the very center of Zagreb (Tkalčićeva 18), just a few steps from the Ban Jelačić square. In this modern and comfortable bar you can enjoy a fine selection of beverages as well as a large variety of computer services. Tel:+385 1 48 11 050. Open M-Su 08.00 – 23-00. Mama, Preradovićeva 18, is one of the coolest and cheapest cyber cafes in the city. They charge 10kn (1.36E) per hour or you can pay by the minute. Wireless connection, Skype, cool juices and coffee are available. The place is run by Multimedia institute , a nonprofit organization working in the fields of new media culture and digital technology, so there’s chance of meeting some of the local and international cutting-edge artists or attending some interesting program. MMC Zagreb , Gajeva 17, “MMC” is an internet point (Gaming & Surfing & Call & Fax), situated in the very center of Zagreb (Gajeva 17), just a few steps from the Ban Jelačić square. Tel:+385 1 48 72 671. Open Mon-Sun 09.00 – 23-00. As other cities in Croatia, Zagreb is very safe, but just as anywhere else dark alleys, parks during the night, etc. should generally be avoided, and common sense should be followed. The chance of getting in trouble in Zagreb is fairly low, especially in the city centre where the most of the hotels and restaurants are located. Tourists, who are in general respected and welcome, soon realise that Zagreb is way safer than the vast majority of other European capitals such as London, Paris, Vienna, Rome, Budapest, etc. Pickpocketing isn’t a particularly common occurrence in Zagreb, but you might be approached by beggars and similar people on the street – ignore them and they will go away. Park Ribnjak, located very close to the city centre, is safe during daytime and worth visiting, especially for children. However, it has recently become a night-time meeting place of alternative youngsters, and subculture violence involving “skinheads” and similar violent young people has occasionally occurred. It’s best to steer clear of Ribnjak after dark, which shouldn’t be a problem because of a lack of interesting content for most tourists anyway. Further, if you are going out at night (especially on weekends) steer clear of any drunk and rowdy groups of young people you might encounter in the street or night trams as random beatings have been known to occur. It is not uncommon for such groups to start unprovoked attacks on passersby, although they target mainly younger crowd and teenagers. These are not common but they do happen occasionally, so take precautions. Avoid clubs which play what is known in Croatia as “Turbo-folk” music. These clubs are often featured in the local newspapers as violence erupts in them quite easily. It is also advisable to learn a some basic Croatian words and phrases – because Zagreb can be a vibrant, busy city, a few basic molim or oprostite will go a long way to avoid being ignored by a busy local. 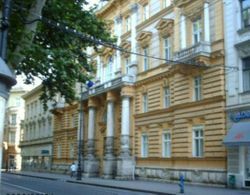 A full list of foreign embassies’ locations in Zagreb can be found at  (in Croatian). Canada, Prilaz Gjure Dezelica 4, ? (385) 1 488 1200 (zagrb@international.gc.ca, fax: (385) 1 488 1230), . Monday to Thursday: 10:00 – 12:00 and 13:00 – 15:00 Friday: 10:00 – 13:00. China, Mlinovi 132. Tues and Thurs: 0900-1200. Greece, Opaticka 12, ? +3851 4810444, Emergencies: +385 989 228 848 (greece-embassy@grembassy.hr, gremb.zgb@mfa.gr, fax: +3851 481 0419). 09:00 – 15:30. Macedonia, Kralja Zvonimira 6/1, ? +385 1 457 2812 (zagreb@mfa.gov.mk, fax: +385 1 462 0369), . United Kingdom, Ivana Lučića 4, ? (385)(1) 6009 100 (fax: (385)(1) 6009 111), . Mon-Thurs: 0830-1700; Fri: 0830-1400. Norway, Grand Centar Hektoroviceva 2, ? (385) 1 6273 800 (emb.zagreb@mfa.no, fax: (385) 1 62730 899), . 08.30 – 16.00 Monday to Friday (15. September- 14. May) and 08.30 – 15.00 (15. May – 14. September). Samobor – a picturesque medieval town with well preserved old lore and long tourist tradition. 25 km west of Zagreb, accessible by bus (~30 min distance from Zagreb, ticket price ~20 HRK). Vrbovec – a town for all who would like to see the typical way of Croatian life. 32 km northeast of Zagreb, accessible by bus. Karlovac – a stunning town at the intersection of 4 rivers. 45 km southwest of Zagreb, accessible by bus.